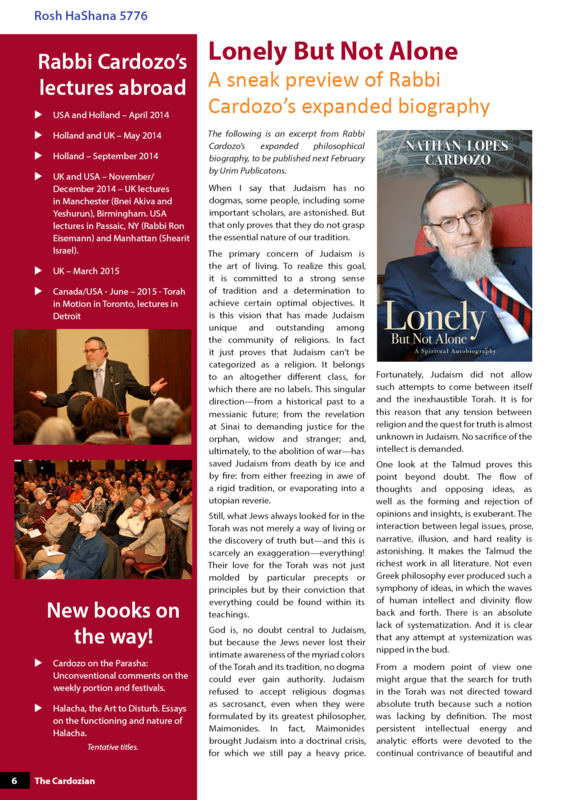 Read about an exciting new documentary on the life of Rabbi Nathan Lopes Cardozo. 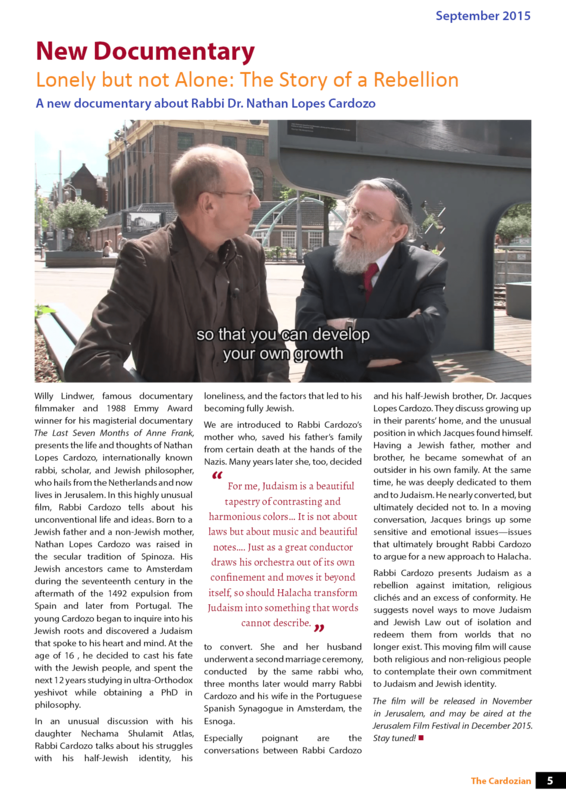 Get a sneak preview of Rabbi Cardozo’s upcoming autobiography, and see what the Think Tank has been up to in the last few months. 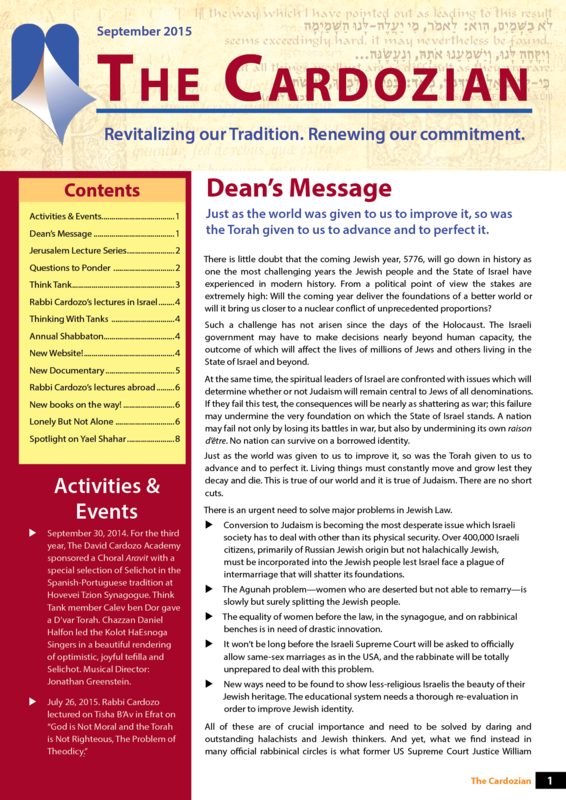 To download the PDF file of the latest Cardozian Newsletter, click here!